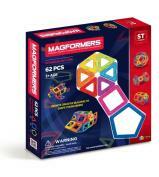 Magformers Brain Master Set is a deluxe set that comes with over 300 magnetic pieces and accessories. 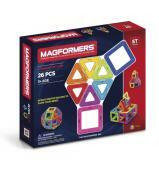 All the magnetic pieces that are based on basic geometric shapes and encourage children to naturally become aware of mathematical shapes, develop curiosity about objects, and learn how to express their thoughts with blocks. 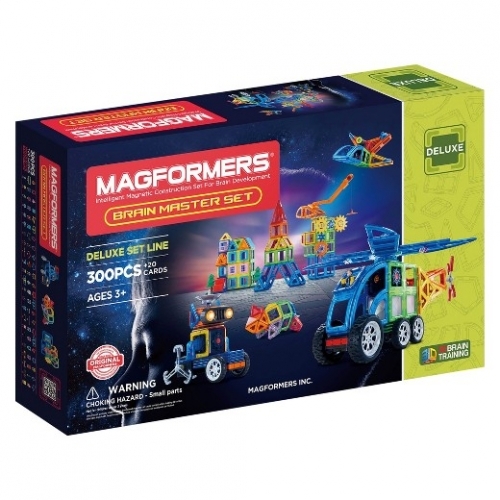 In addition, children can benefit from a variety of brain training effects through the process of designing and connecting blocks and making the models move by using accessories, such as the remote controller. 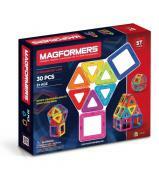 Contains a super-combo of 320 Magformers magnetic pieces and accessories. 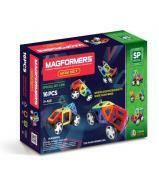 Includes remote controllers for vehicles.